James fell into bad habits as he got older and the pounds crept up on him. 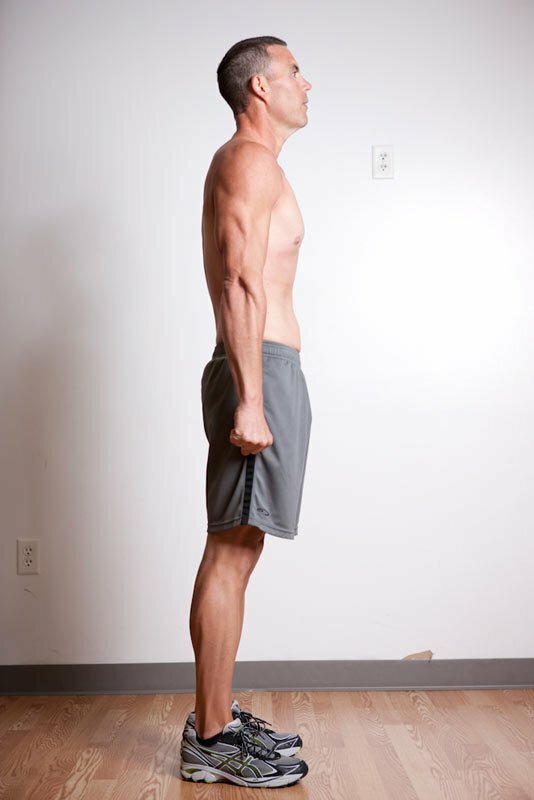 Enter HitchFit and a training program that got James back in the game. Read on for his fat busting program! My story will sound familiar to a lot of people. I was an athlete through high school. I was always in shape and working out daily until I went to college. Through college I did okay because I worked full-time busting tires in addition to going to school, which helped keep me in shape. Then I got a job as a field technician after graduating college, which quickly turned into hitting the closest drive-through window for lunch most days, and this began the gradual transformation to Fat James. 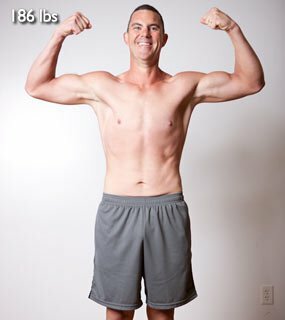 Fast forward 10 years, add a wife, 3 kids, a busy schedule and a LOT of excuses as to why I'm not working out and eating right; here arrives a guy who's 6-foot-2 and more than 300 pounds. I was tired, tired of being out of shape, tired of being fat, tired of being exhausted after wrestling with my kids or climbing a flight of stairs. I was just plain tired, literally and figuratively. At that point I would just go to the cupboard for a snack just because I was bored. I finally looked in the mirror one day and told myself "THIS HAS TO STOP!" I started walking in the evenings and eating better. I lost maybe 25 pounds doing this but I was still way overweight. I then began to step it up and add in some jogging to my walks and eating less. Within a year after deciding to lose weight I had lost about 60 pounds and was feeling pretty good, but I hit a wall. I couldn't get below 240 pounds. About that time I saw my good friend Chad transforming right in front of my eyes. I finally asked him "What are you doing? You look great!" He said it's called HitchFit. So we began to talk about it and he said, "Yeah, I just finished my transformation and my pictures will be published soon." So I was thinking about what we talked about and I knew I had to do something to get from being where I was in "better" shape to actually being fit. When his pictures came out I was blown away and knew HitchFit was for me. My wife and I talked about it and we decided to do the couples' boot camp together. To shape up, James got hitched - to HitchFit. So we got online to HitchFit.com and signed up. Then we received an email from Micah asking what we'd like to accomplish with HitchFit and all of our measurements. 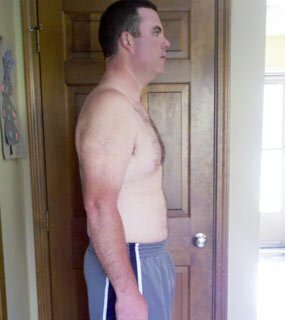 A few days later he sent us both our own personalized diet and exercise plans for the 16-week program. 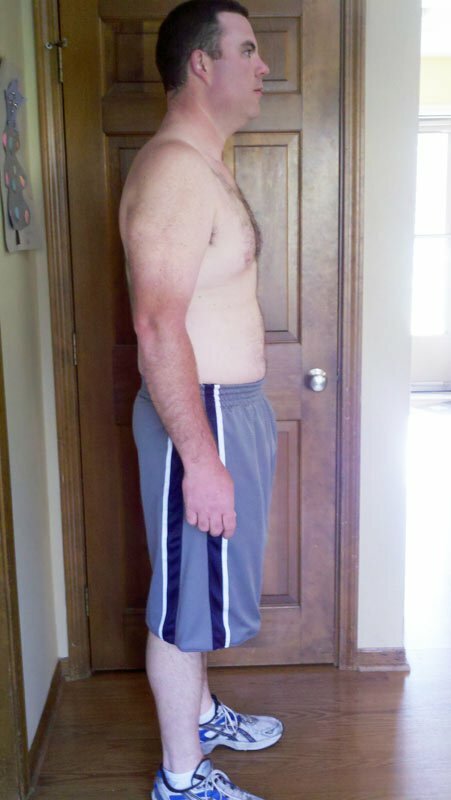 I thought I was in decent shape when I started, but I quickly realized I wasn't even close. I had been jogging regularly, but little strength training and what I was doing was ALL WRONG. I was really sore at first, but mostly just the legs as I had never done any leg workouts. But, it was worth it because I immediately started seeing great results. 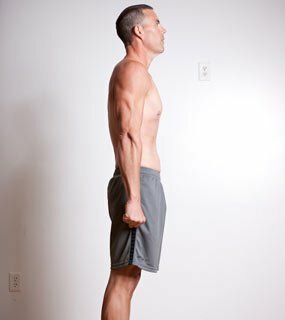 Within the first 4 weeks I already dropped around 20 pounds. The HitchFit plan keeps challenging you to push yourself harder each month and I really needed that. To quote Bob Dylan, "going, going, gone." His gut, that is. I'm the kind of guy who needs a plan, structure and most importantly accountability; which I had now with the HitchFit plan, working through it alongside my wife and in regular communication with Micah. I couldn't believe how much better I felt, stronger, more energy and just an all around better attitude! I finally believed that a much healthier lifestyle was attainable. 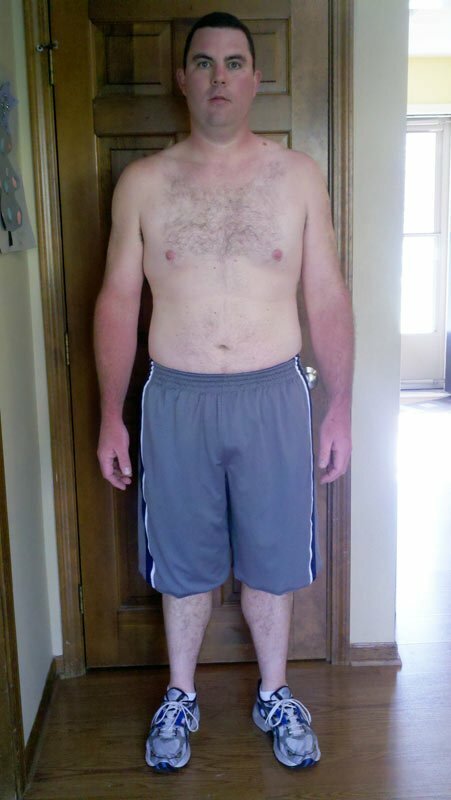 At the end of my 16-week transformation I lost 54 pounds to get to 186 pounds and 9.8% body fat. That got me back down to the weight I was at when I graduated high school, but definitely in better shape now having more muscle mass and less body fat. HitchFit is truly a lifestyle change my wife and I will hold on to! The support from my wife, Micah and my friends that encouraged me and inspired me through my transformation were vital to my success. HitchFit not only met all of my goals, but helped me surpass them and go farther than I thought I could. I feel great and can run around and play with my kids without getting winded or tired. Being online customers, we still felt constantly connected with the prompt email responses and good insight we received from Micah. I want to say Thank You to my friend Chad, Micah and the HitchFit team for giving me the inspiration and the tools to get fit, stay fit and in the best shape of my life at age 33. Make sure right after your workout (no longer then 45 min) to get a good meal in, either a protein shake or fish, chicken and veggies. If you have wanted to get into shape or back into shape, but just haven't been able to bite the bullet and get started, don't wait any longer! I kept putting it off and I ended up 305 pounds and completely out of shape, don't let yourself get that far from ideal body weight. 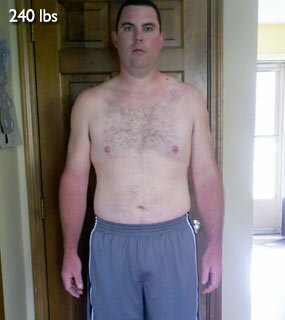 For those of you who are heavy, like I was, use my story as inspiration that you can achieve success through hard work, dedication and a plan like HitchFit. I learned so much from working with a personal trainer that I will keep for the rest of my life and I can re-write my life story with a much healthier ending. Working with a personal trainer (even an online personal trainer) helped me to push myself harder than I knew I could and that I can do more than I ever imagined with proper nutrition a training plan and inspiration from other HitchFit friends.